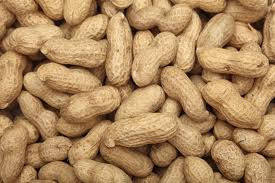 Peanut butter is the number one use of peanuts in the United States. It takes, on average, 540 peanuts to make one 12-ounce jar of peanut butter. The average child is said to eat 1,500 peanut butter and jelly sandwiches by the time they graduate from school. On one acre of a peanut crop there are enough peanuts to make 30,000 peanut butter sandwiches!